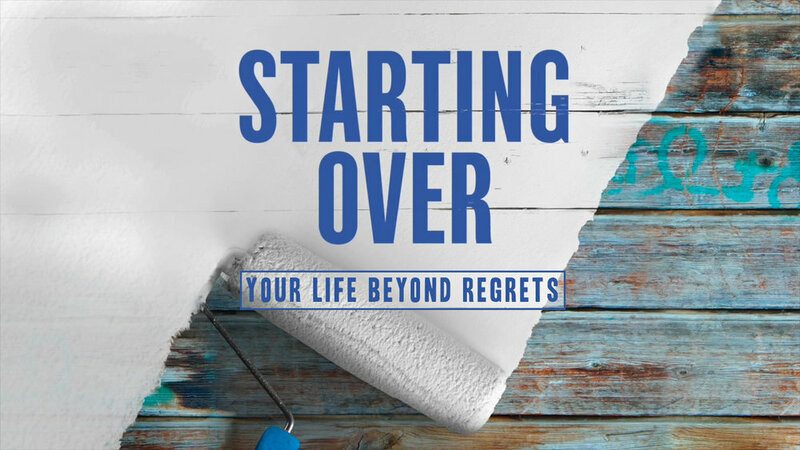 The Starting Over series with Jodi challenging all of us to look at another aspect of our lives that quickly gets out of control... our schedules. But no matter how crazy they get, we always have the choice to start over. Jodi encouraged us to ask four simple but challenging questions that help us make wise decisions about our schedules. What was the busiest season of your life? Was it exciting? Was it draining? What are the easiest schedule problems for you to run into? When you look at a full schedule that you didn't necessarily plan on... what is it full of? Read Psalm 90:1-2, 4-6, 12 together. Before the mountains were born or you brought forth the whole world, from everlasting to everlasting you are God. A thousand years in your sight are like a day that has just gone by, or like a watch in the night. Yet you sweep people away in the sleep of death— they are like the new grass of the morning: In the morning it springs up new, but by evening it is dry and withered. Realistically, how often do you think about the fact that your days are numbered? Does it cross your mind often? How does that affect you? Do you have trouble subtracting things from your schedule? What stands in your way? Fear, worry, image management... what really is stopping you from trimming back your schedule and not red lining? What activities give you energy, refresh you, and help you stay sane and healthy when things get hard? What might need to get cut so that you can have more space for those life-giving activities? Jodi read a quote that ended with "life itself (is) grace". Does how you spend your time show that you think of life itself as grace? How would seeing all of your life as grace change the way you spend your days? Go do each of these four things this week! Small or big... decide to add something, subtract something, do more of something, and do less of something! Share with your group next time! Remembering our time is limited provides us with the wisdom to know how to spend our limited time. What do I need to subtract? if my days are numbered, what do I need to subtract? No less than in the excitement and gladness.